Ahhh Valentine’s Day… There are so many recipes for your significant other but let’s not forget the little loves of our lives. 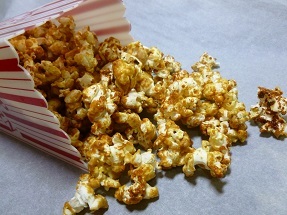 Make this easy and delicious Caramel Popcorn and Peanuts treat for your kids this Valentine’s Day and show them all the love! The holiday season is upon us and there is no better time than now to add some delicious dessert recipes to your arsenal. 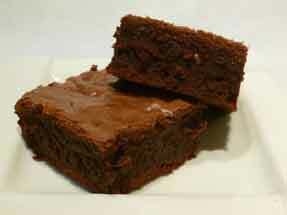 Try this delicious home made Double Chocolate Brownies recipe and add some love to your holiday spread. 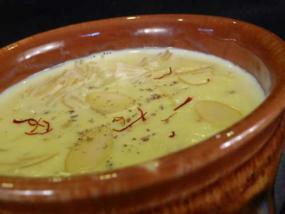 Sabudana Kheer is a simple yet delicious dessert that can be enjoyed during fasting (upvas). 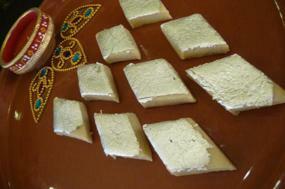 It is made with tapioca pearls, the starch from the cassava root. 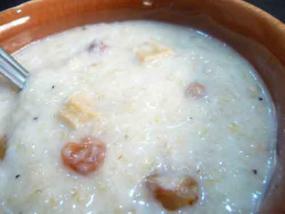 Much lighter and quicker to make than Rice Kheer, it is perfect for any palate! 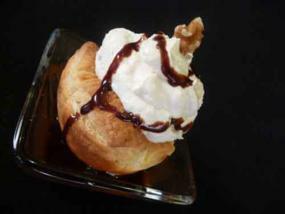 For Mother’s Day, treat Mom (or yourself) to something light, fluffy and sweet. 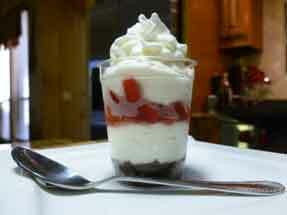 This easy to make Strawberry Cheesecake Parfait is just the right amount of sweetness and packed with flavor. Happy Mother’s Day to all the lovely mothers out there who selflessly look after their families. 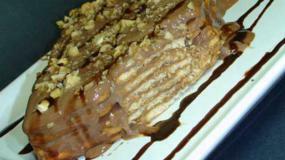 When the thought of dessert leads to pangs of guilt, there is no need to skip it. 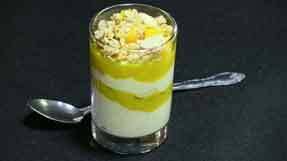 This super easy Fruit and Yogurt Parfait recipe will save the day. With delicious layers of lightly sweetened Greek yogurt and your choice of fruits and nuts, you can confidently “have your parfait and eat it too”. 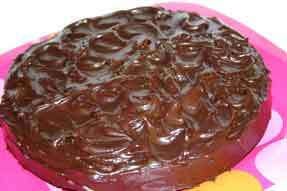 Take your chocolate cake, vanilla cake or marble cake to the next level with this smooth and rich chocolate frosting (icing) recipe. A few ingredients and a few minutes will leave you wondering why you’ve been using store bought frosting. 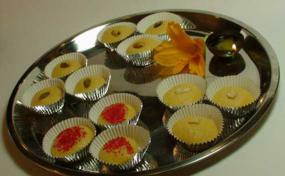 With so many holidays right around the corner, who doesn’t need a fast and easy dessert (mithai) recipe? 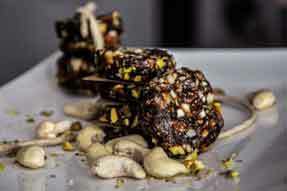 This Chewy Walnut and Besan Burfi recipe absolutely fits the bill. 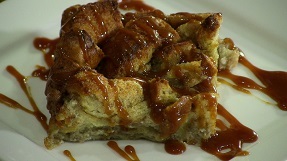 Go ahead and let your friends and family think you slaved in the kitchen all day! 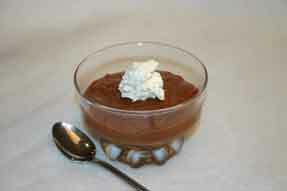 Chocolate Mousse is a rich but remarkably light and fluffy dessert. 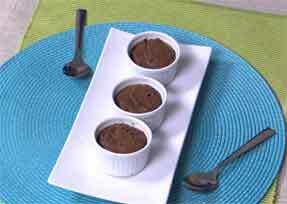 Try this easy chocolate mousse recipe that has a hint of coffee flavor and you won’t even think about going to a fancy restaurant to enjoy such a delectable delight. Aahh! The holidays are here! 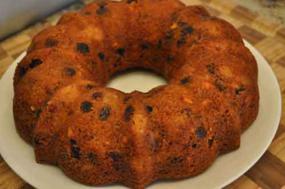 There is nothing like the tantalizing aroma of fruit cake filling the air. 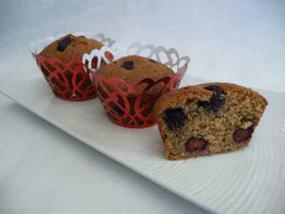 Try this simple, no fuss eggless fruit and nut cake recipe and share the warmth of the holidays with family and friends. Wishing all of you a very Merry Christmas and a Happy New Year! 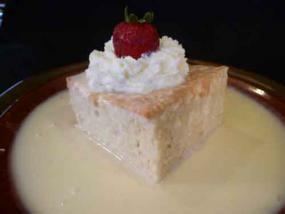 Valentines Day is coming up and here is your chance to present your sweetheart a show stopper dessert! 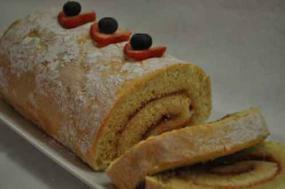 Ultra soft spongecake is rolled around your choice of filling (jam, jelly, whipped cream, chocolate, etc). 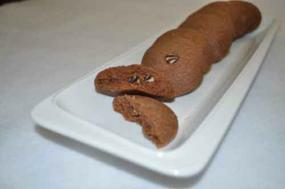 Try this Swiss Roll recipe for a sure fire way to someone special’s heart. 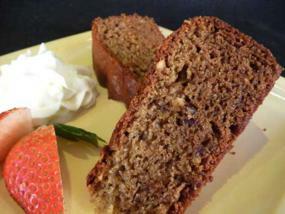 This Mother’s Day, surprise Mom with a moist and delicious Carrot Cake. 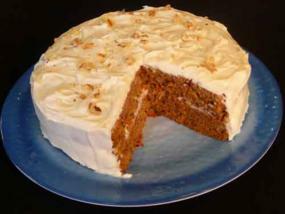 This easy carrot cake recipe can be made with or without eggs! 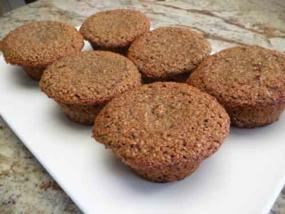 Top it off with a simple cream cheese frosting (we’ll show you how) or enjoy it plain…Mom will be impressed! 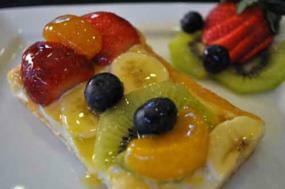 Making your own homemade Fruit Tart is easier than you think. 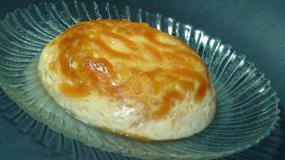 Try this light and delicious recipe for your next get-together. 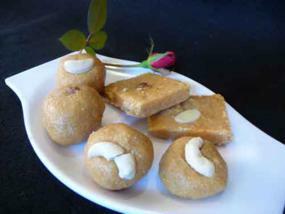 With so many fruits, you can’t feel guilty while indulging in this heavenly dessert. 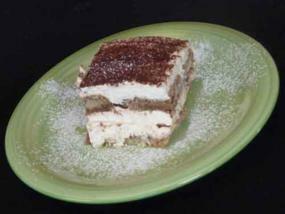 This Valentines Day (or any special day of the year), surprise your sweetheart with a piece of delicious Tiramisu. 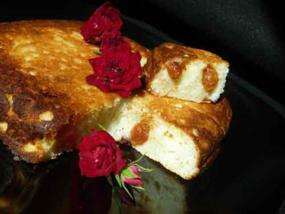 This Italian cake recipe is a must for coffee lovers and you’ll be surprised that this elaborate looking dessert can be so easy it is to make. 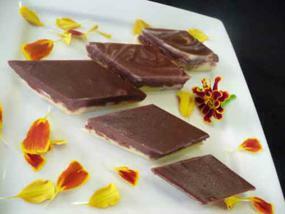 Gourmet desserts don’t have to be as hard to make as they’ll seem to your guests. Try this easy recipe for Buttered Walnut Mousse that you can make ahead of time and assemble right before your party…it’s finger-licking good! 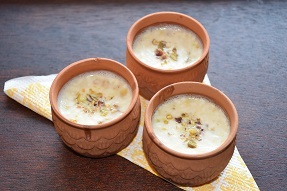 Seviya Kheer or Khir is one of the easiest desserts and very popular. 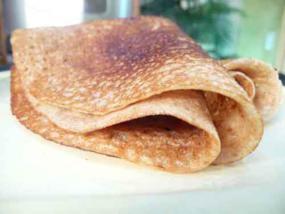 Simple, sweet and quick to make…hmmm, can’t go wrong with that. 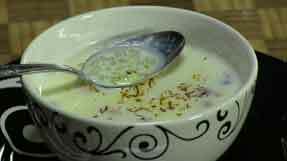 A great variation to the Rice Kheer. 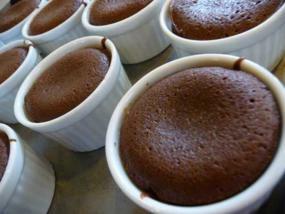 Molten Lava Cake is a chocolate lover’s delight. 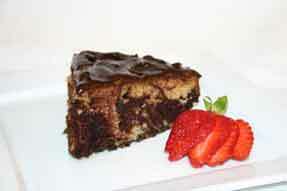 Break into the cake to reveal warm, gooey chocolaty goodness! 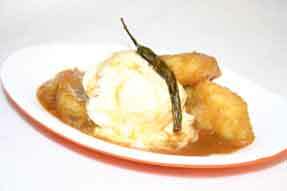 It’s a perfect combination with cold vanilla ice cream. 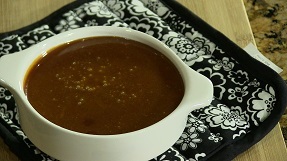 Surprise your sweetheart this Valentine’s Day with this super easy recipe! 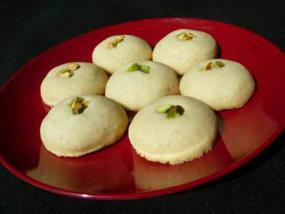 And, Subha, thanks for this recipe! 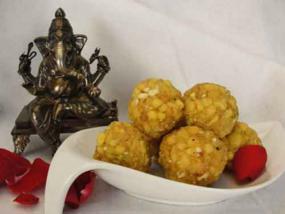 Rice Crispies is every kid’s favorite and here is a perfect combination of the ‘taste’ and the ‘look’ without the usual mess and so very easy to make. 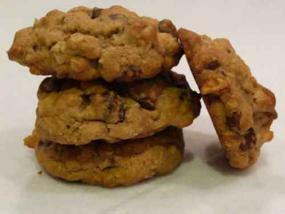 Forget about the kids, I was so excited the 1st time I laid my eyes on these fantastic treats! 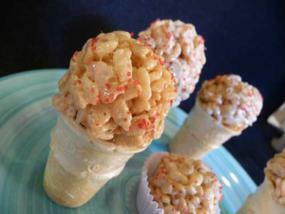 Ice Cream Coney Treats are here to stay! 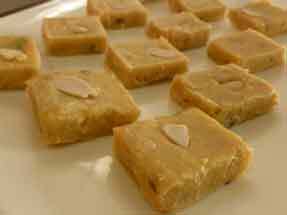 Suji Halwa is associated with a lot of religious functions where it usually served as ‘prasad’ (offering to the Gods). 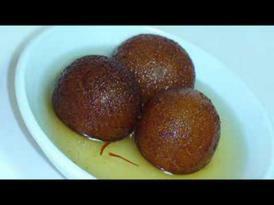 It is so easy to make and so very delicious that it is also a no-brainer sure-hit dessert most of the times. 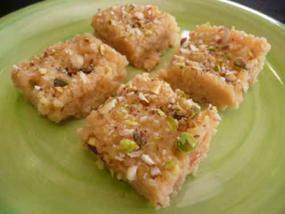 This easy Eggless Cake with the flavor of Dates and Walnuts is quick, easy and just out of this world. 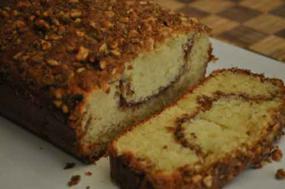 This recipe was submitted by Annam Arunachalam and we know that during the holiday season it’s just great to have another wonderful cake recipe. Enjoy and Happy Holidays! 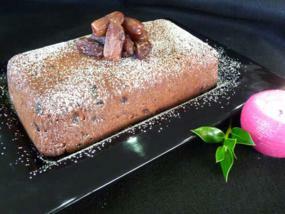 Fruit cake is one of the most recognized holiday treats. 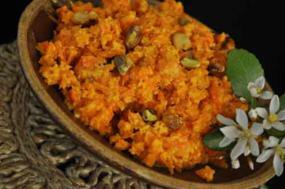 It’s packed with the goodness of fruits and nuts and aromatic spices. 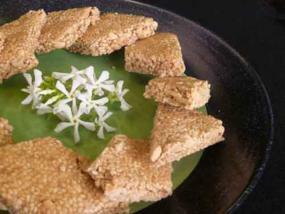 Make a batch for your holiday party with this delicious recipe from Ammini Ramachandran, renowned cookbook author of Grains, Greens, and Grated Coconuts. 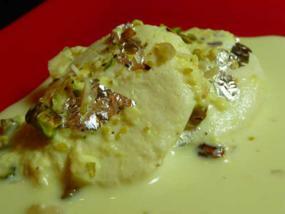 Ras Malai, cotton soft cheese in a creamy milk sauce, is a delectable Indian dessert. 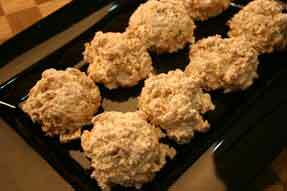 Find out how easy it is to make and impress your family and friends. 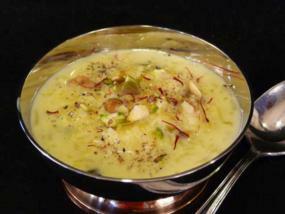 Ras Malai is a delicious and perfect end to any Indian meal. 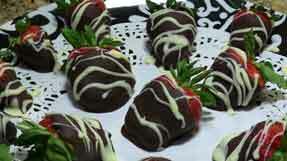 Make it for your next party or holiday celebration! 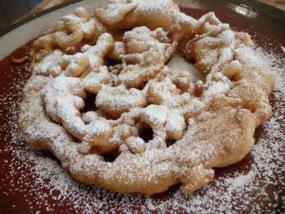 It is unbelievably easy and so very delicious.With just a few ingredients on hand, it is amazing what can be churned out. 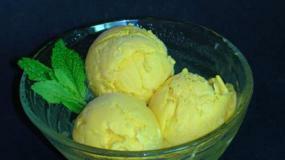 This wonderful Mango Ice Cream recipe was submitted by Vani Sudarshan, from Dallas, thanks! 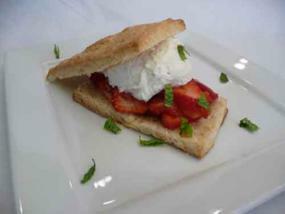 A great dessert recipe that just can’t be any easier! 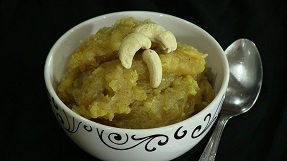 Submitted By:Vaishali A rich soft halwa with saffron – a treat to the taste buds…A quick version! 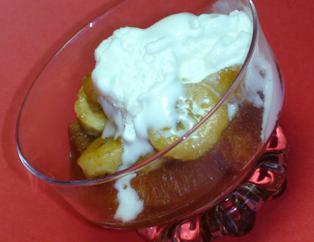 Pound cake with Bananas, gently sauteed in a warm Kahlua sauce, topped with cold Ice Cream…YUM! 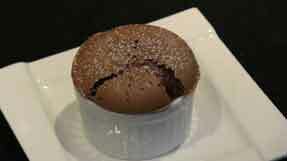 Perfect for two, perfect for Valentines. 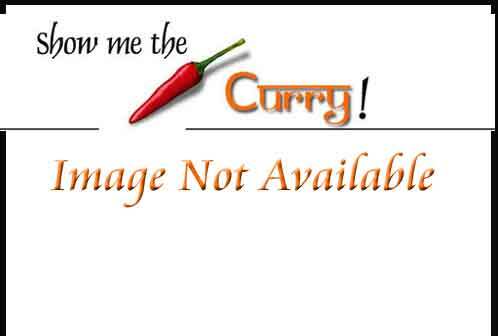 Submitted By: Subha Balasubramanian This is a tradional South Indian dish that is made during religious functions and is usually served as ‘prasaad’. 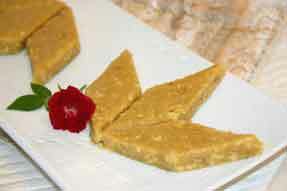 Many vegetarians and vegans often miss out on holiday cakes because they are made with eggs. 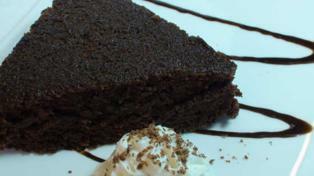 Here is a wonderfully simple recipe for an Eggless Chocolate Cake submitted by Ekta, one of our viewers. You won’t even miss the eggs! 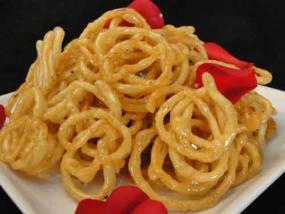 It is also great for those watching their cholesterol. It’s perfect for the holidays…enjoy! Falooda goes into the Indian street food category – after all the spicy chaat, you’ve gotta have Falooda to end off on a satisfied note! 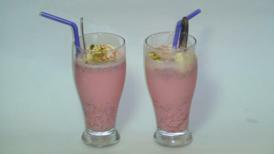 This wonderful and good-looking drink/dessert is just a great surprise with the refreshing rose flavor and the healthy Basil Seeds – finally a dessert that is good for you! Enjoy. 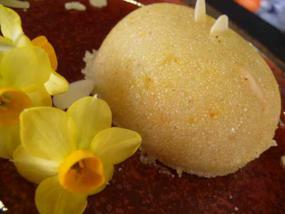 Kulfi is an all time favorite Indian dessert — especially in summer! 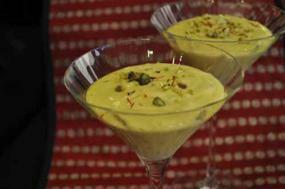 It’s a little like ice cream but Kulfi has it’s own unique flavor. 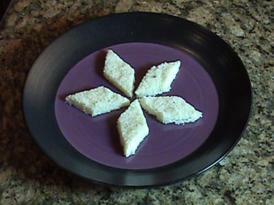 Try this super simple recipe. You won’t believe how easy it is! 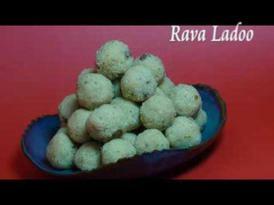 Try this easy and delicious Rava (Semolina or Farina) ladoo aka laddu recipe. 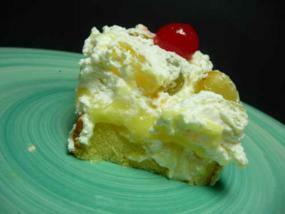 It’s a great make-ahead dessert option. 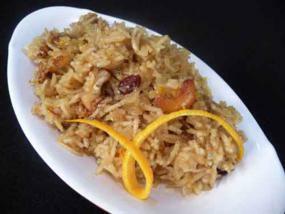 With fragrant saffron and coconut, it’s sure to be a crowd pleaser! 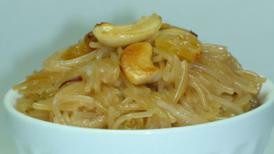 Coconut fan?…here is something for you – A quick and easy fix for your cravings. The best thing about it is that it has a long refrigerator shelf life. So, when that sweet craving hits you, you know in which direction to head.